A cooling agent designed to aid in the relief of muscle, joint and tendon soreness in horses and dogs. When should I use Pottie’s Isogel? 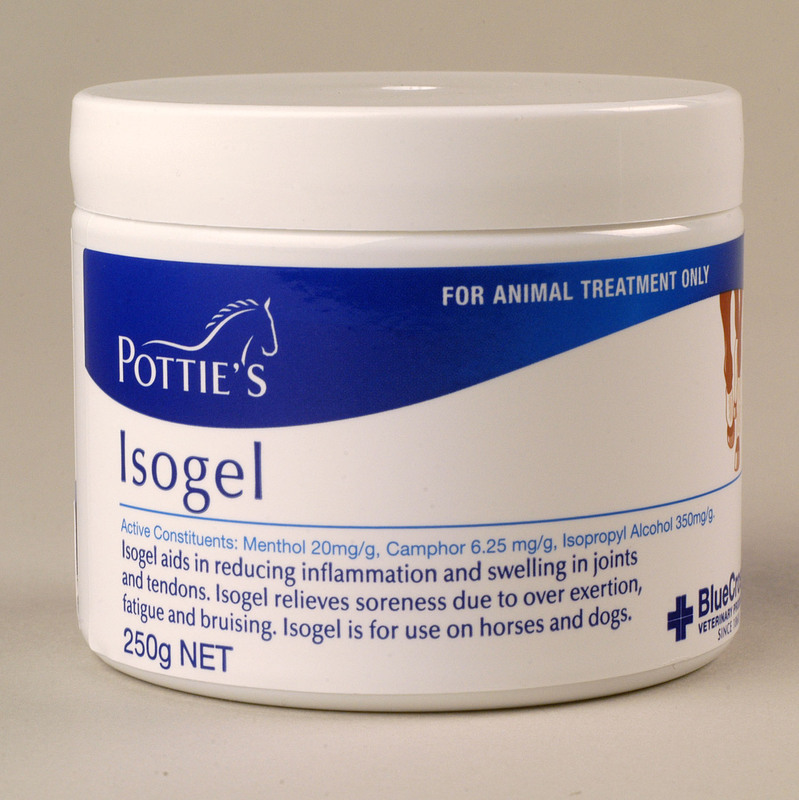 Pottie’s Isogel should be used when your horse is showing signs of muscle and or joint soreness, or after strenuous exercises, such as cross country. For optimum results, it can be used before and after a workout, and for a more intense effect, Pottie’ Isogel can be combined with muscle therapy. How do I use Pottie’s Isogel? Pottie’s Isogel can be rubbed into the affected area at full strength, before and after a workout. Use under wet or dry bandages. Avoid contact with eyes, open wounds or mucous membranes.